In the economically depressed port city of Hull, in the East Riding of Yorkshire, England, Detective Sergeant Aector McAvoy enjoys some chocolate cake in a coffee shop with his four-year-old son. Despite the December cold, they sit outside, on the old square, to get a bit of the sun that is in such short supply so far north at this time of year. Aector's moment of domestic pleasure is cut short by screams from the church across the square. He runs to the church and is himself attacked by a hooded man rushing away. Inside, there is a horrific scene of carnage; Daphne Cotton, just 15 years old, has been hacked to death with a machete. Aector, a member of the police department's serious crimes unit, is put on the team investigating Daphne's murder. Aector has a special status, since he was face-to-face with the killer, but it soon becomes obvious to the reader that's not all that sets him apart. In the past, he exposed an important cop's corruption, and now he's paying the price. He's looked at with suspicion by many, respect by a few, but given a wide berth by almost everyone. Though not by his boss, Trish Pharaoh. Pharaoh, a tough-talking, hard-drinking woman, calls Aector "natural police" and gives him free reign in the investigation. Pharaoh's confidence is tested when Aector takes time out from the critical Daphne Cotton investigation to follow up on the apparent suicide of Fred Stein, a retired North Sea fisherman, at the same remote ocean location where Stein had been the sole survivor of a commercial trawler sinking 40 years before. Aector has an unaccountable feeling that there is a connection between Daphne's murder and Stein's death; a feeling that strengthens into conviction when another strange death occurs. 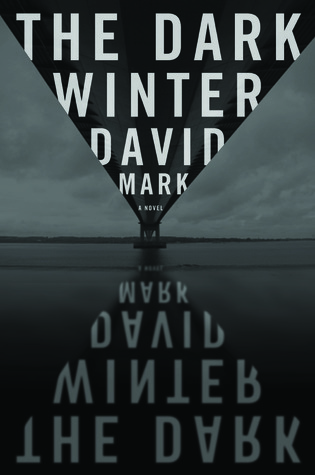 Author David Mark, a crime reporter, delivers a page-turner of a plot and a refreshing new protagonist in his debut novel. In retrospect, I suppose the story is pretty far-fetched, but that didn't prevent me from shutting myself away from all distractions and staying up way later than I'd intended so that I could finish the book. Peter Robinson––or your money back! Aector McAvoy is a big, powerful man, but quiet and self-effacing. Despite his past troubles, he hasn't turned to the dubious comforts of drink or drugs, the way so many modern fictional detectives do. His sanctuary is at home, with his wife, Roisin, and his son. Just don't get the idea he's nothing but a big softy, though. He'll wade into physical combat if necessary, and he won't back down from what he feels he has to do, no matter how staunch the opposition. Pharaoh warns him that there is always a price to pay for being a man who cares passionately about doing the right thing. Aector knows she's right, but "somebody has to give a damn," and that somebody has always been––and always will be––Aector. According to Wikipedia, the city of Hull "is sunnier than most areas this far north in the British Isles, and also considerably drier, due to the rain shadowing effect of the Pennines." 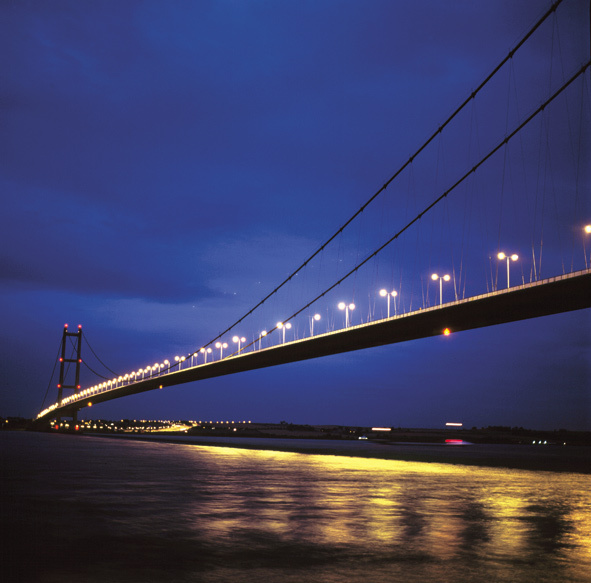 You'd never know from reading The Dark Winter that Hull enjoys such a congenial climate. I had to crank up the thermostat and turn on all the lights to combat the cold, wet gloom that rose off every page. This book can rival any Nordic mystery for chill and clouded atmosphere. 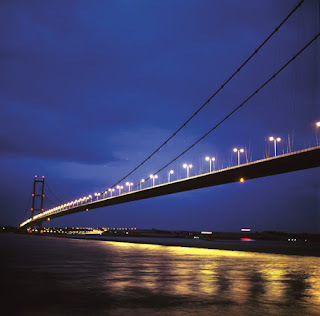 Crime fiction readers have become familiar with Yorkshire through the late Reginald Hill's Dalziel and Pascoe, Stuart Pawson's Charlie Priest, Peter Robinson's Alan Banks and others, and now David Mark brings the county's Hull into the action. This port city, a former industrial and maritime powerhouse, in decline since the 1970s, but filled with rough beauty, makes an ideal setting for the gritty realism of Mark's storytelling. I hope we can expect to see Aector McAvoy, Trish Pharaoh––and Hull––again. The Dark Winter was published in the US on October 25, 2012 by Blue Rider Press, an imprint of Penguin Group (USA). Note: I received a free review copy of The Dark Winter from the publisher. A version of this review may also appear on Amazon and other sites under my user names there.